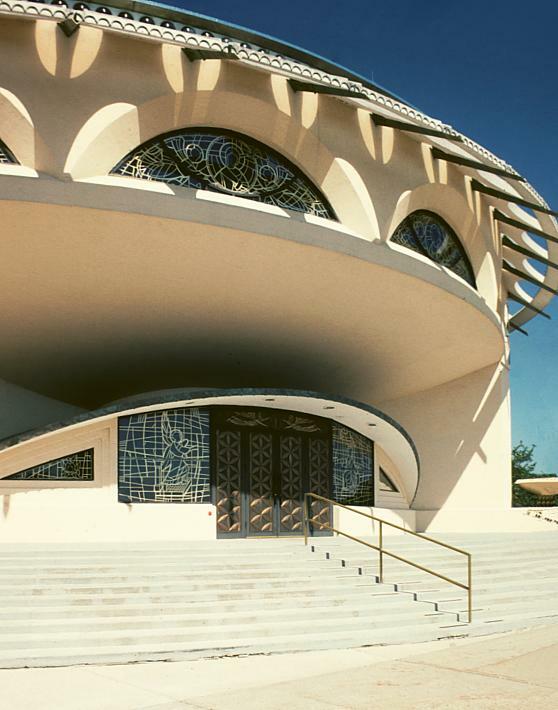 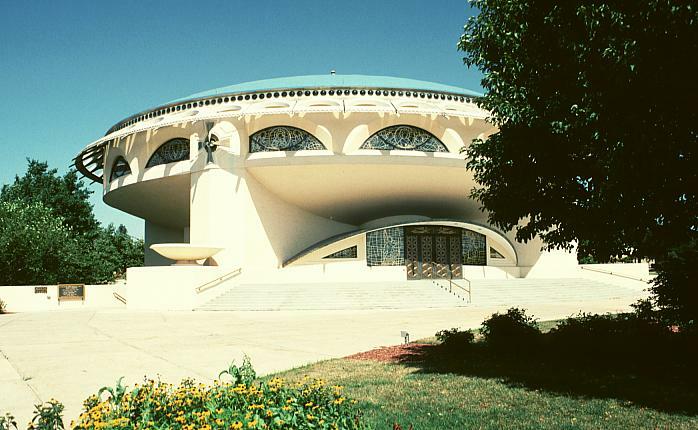 This church designed for the Greek orthodox congregation in the suburbs of Milwaukee was one of Wright's last commissions. 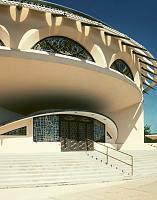 In the last few years of his life he completed almost seventy works, several of which illustrate his interest in the circular form. 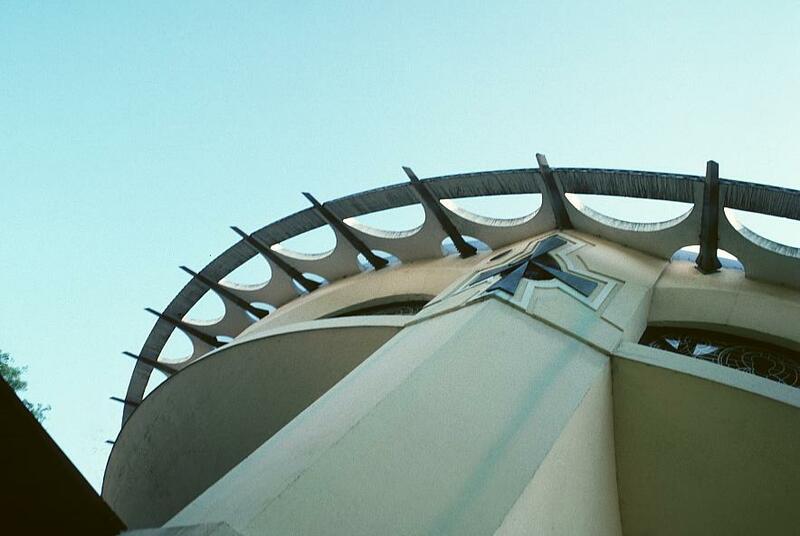 (See, for example his Guggenheim Museum in New York City.) 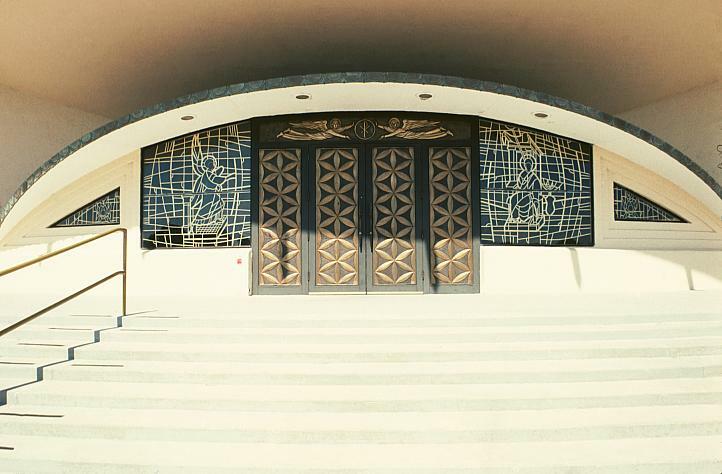 Wright died, however, in 1959 before the ground breaking of the church. 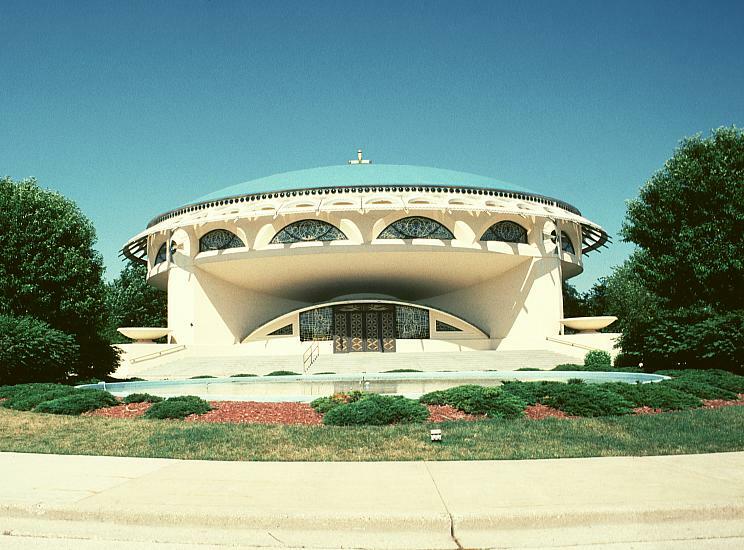 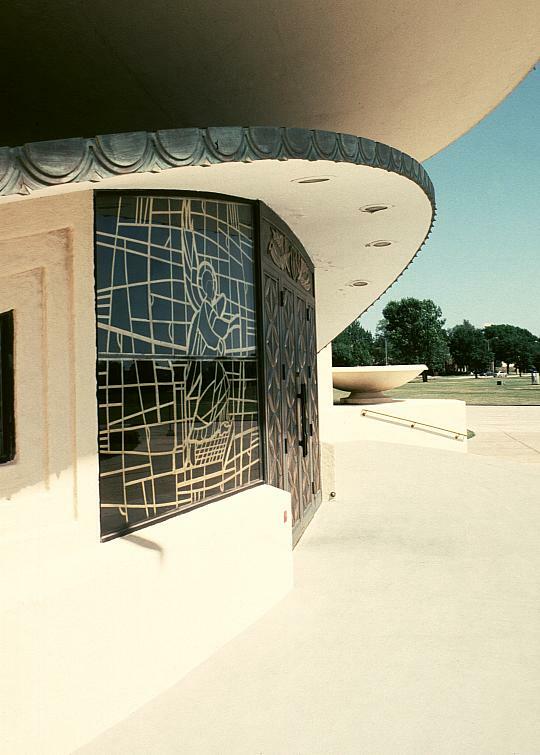 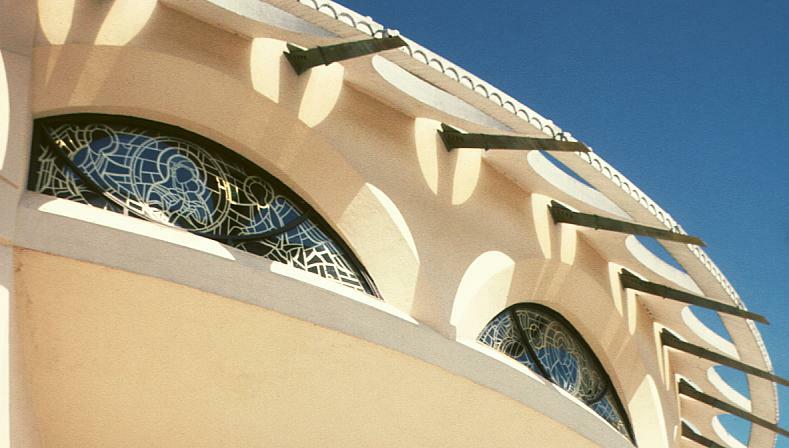 Wright's circular design uses two important elements from Greek Orthodox churches, the dome and the Greek cross. 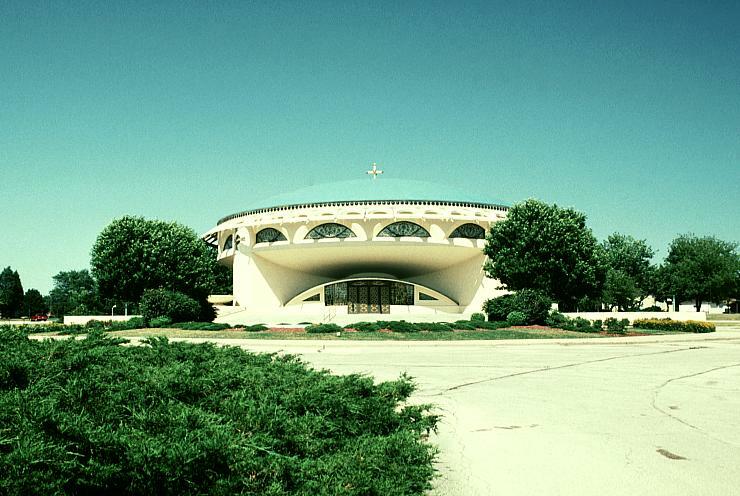 The shallow concrete dome (106 feet in diameter) is superimposed on a floor plan in the shape of a Greek cross; the Greek cross inscribed within a circle is a key design element in the details of the church as well. 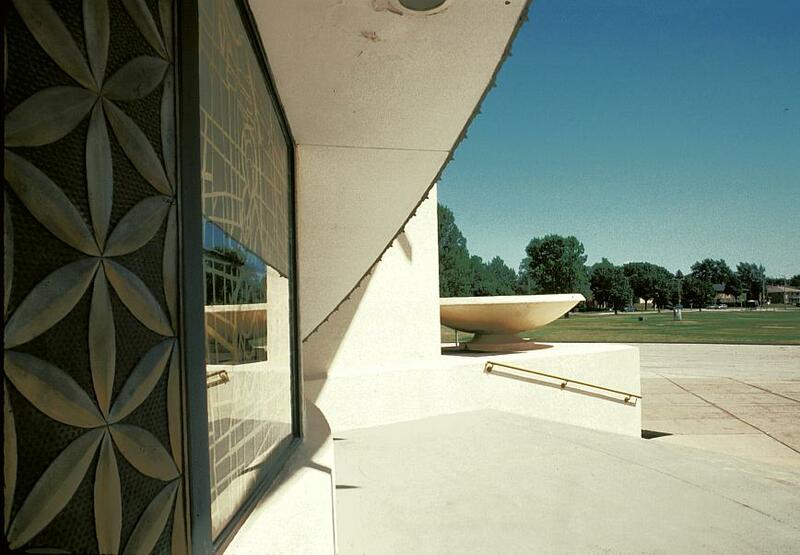 The stained glass is not by Wright or Taliesin artists. 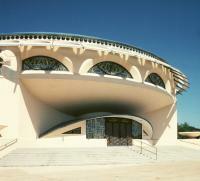 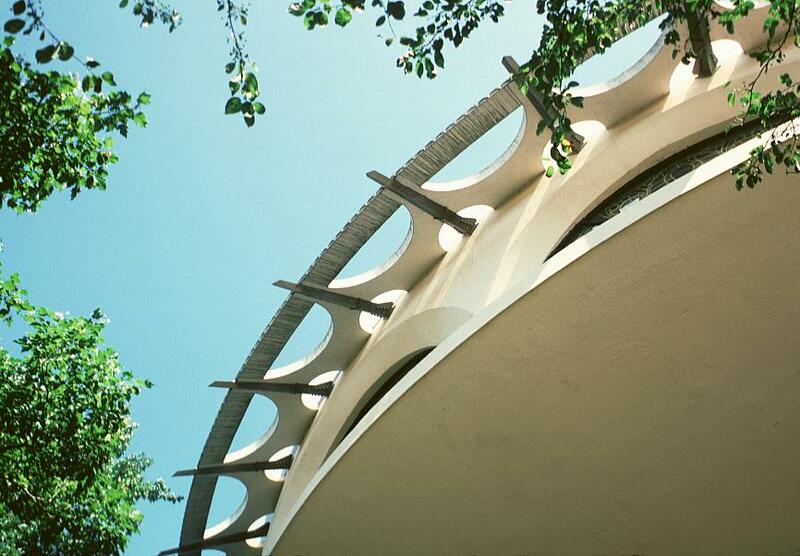 See also the Marin County Civic Center, designed during this same period, for a similar use of curvilinear forms.